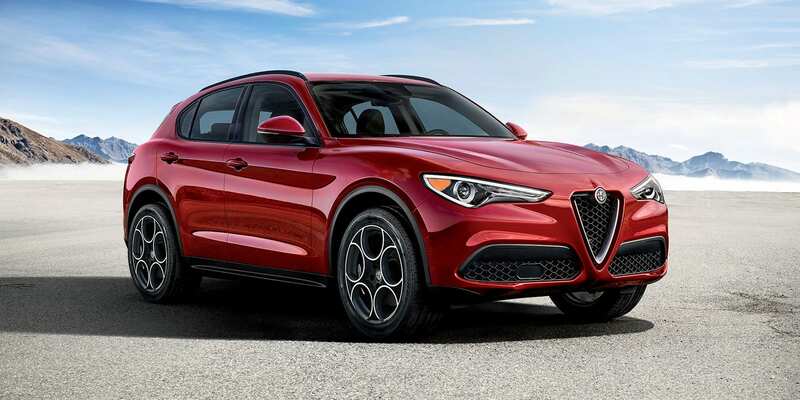 The Alfa Romeo recently returned to the United States giving buyers a new luxury car option! The 2018 Alfa Romeo Giulia adds an Italian option to the mix and offers impressive handling and performance as well as rear wheel drive and a compelling engine lineup! Thanks to its Italian design it looks like nothing else on the road! Read the rest of our 2018 Alfa Romeo Giulia review to learn more! What type of trim levels and features does the Giulia offer? There are six trim levels available for the 2018 Giulia! The base Giulia comes equipped with 17-inch alloy wheels wrapped in all season tires, xenon headlights, Brembo brakes, a rearview camera, rear parking sensors, and automatic wipers. Standard features for the interior of the base Giulia include power adjustable front seats, leather upholstery, keyless entry and ignition, a driver information display, dual zone climate control, Bluetooth connectivity, adjustable drive modes, a 6.5-inch central display, three USB ports, voice commands, and an eight-speaker sound system! 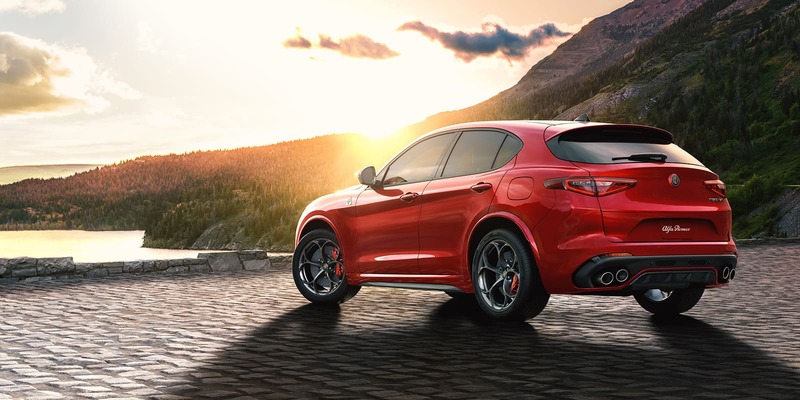 The top of the line Quadrifoglio comes equipped with a torque vectoring rear differential, a high-performance Brembo brake system, an adaptive suspension, super sticky Pirelli P Zero Corsa tires, and 19-inch wheels. As well as model exclusive styling details like bi-xenon adaptive headlights, a carbon trunk spoiler, a unique grille and front fascia, and a rear diffuser with quad exhaust tips! Are there any engine options for the 2018 Giulia? There are two engine options available for the 2018 Giulia. The first is a 2.0-liter turbocharged inline-4 that delivers 280 horsepower and 306 pound-feet of torque. With RWD this engine is estimated to get 33 mpg on the highway and 30 mpg with AWD! The second engine option is a 2.9-liter twin-turbocharged V6 that generates 505 horsepower and 443 pound-feet of torque! The EPA estimates that this engine can get up to 24 miles to the gallon on the highway! Both of these engines are matched to an eight-speed torque-converter automatic transmission which delivers swift and smooth shifts! What type of safety features and packages are offered? The 2018 Alfa Romeo Giulia comes equipped with great standard safety features like eight airbags, an all-speed traction control system, an anti-lock brake system, rear parking sensors, a backup camera, hill start assist, dynamic gridlines, anti-slip regulation/torque control, and brake assist! The available Driver Assistance Dynamic Package adds lane departure warning, forward collision warning, adaptive cruise control with full stop, an automatic high beam system, and an infrared windshield! This Alfa Romeo Giulia is like no other car on the market or the road! Come into Alfa Romeo of Larchmont today to take a look at one up close and personal! To really know if this is the car for you is try out all the incredible features and take it out for a test drive! If you have any questions, don't hesitate to fill out the contact form below or give us a call!